Here at Vicarage Farm Beauty and Holistic Therapy Centre, we are fortunate to be able to offer you the specialist expertise and services of many talented therapists. You can rest assured that you are in qualified, experienced and capable hands and that you will be treated professionally and individually. We respect client confidentiality with the same standards as you would expect from any other health practitioner. Wearing loose, unrestrictive clothing is recommended for optimal comfort for all treatments listed below, with the exception of: manual lymphatic drainage (MLD) and sport/deep tissue massage. David Sanders, Lic Ac. M.B.Ac.C. 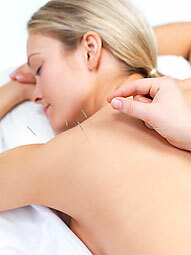 Bowen therapy is a gentle, relaxing hands-on treatment which aims to restore the body’s natural balance. It is suitable for many causes of muscular discomfort including back and neck pain. Bowen can be helpful in the treatment of stress, respiratory problems and infant colic. This safe treatment is suitable for all ages. Crystals have different energies and properties and between them can affect mental, physical, spiritual and emotional aspects within ourselves. Crystals will be chosen carefully for each individual and placed around the body. With the use of crystals combined with Reiki this becomes a powerful treatment to aid healing at all levels. Most emotional and physical symptoms can be treated. Migraine, headaches, skin complaints, hay-fever, allergies, pain management, pre-menstrual/menopausal symptoms, fears, panic attacks, post viral illnesses and stress related bowel problems. Hypnosis is a natural state of trance similar to that achieved in meditation. Hypnotherapy is now widely recognised as one of the most effective ways to bring about positive solution, utilising clinically-proven techniques of CBT, Solution-Focused Brief Therapy and other approaches to help you make those significant changes within a relatively short period of time. Hypnotherapy can help with Anxiety disorders, Panic attacks, Phobias and fears, Confidence, Exam nerves, Self-esteem, Weight management, Insomnia, Goal achievement, IBS, Stopping Smoking and much more. Kinesiology is a complementary health therapy using simple muscle testing techniques. The theory of muscle testing was first developed by an orthopaedic surgeon, R.W.Lovett, who was working with polio victims in the 1930’s. It was further developed by a chiropractor, Dr. George Goodheart, in the 1960’s who started using muscle testing to identify strong and weak muscles. A muscle will test either strong or weak dependent on biochemical, emotional and structural needs as well as subtle energies. 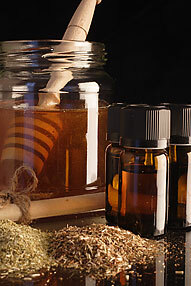 Techniques including nutritional supplements, techniques for emotional stress release, Bach flower remedies, acupressure, gentle structural realignment, chakra balancing, massage of reflex points, meridian running as well as lifestyle changes are used by the practitioner to improve muscle strength to prevent or reverse the course of pain and disease. Kinesiology addresses the whole person, emotionally, physically, chemically and energetically. Being out of balance in one aspect can affect the other aspects. As an example, if you are out of balance emotionally then you can develop a chemical, physical or energetic imbalance. The aim of the Kinesiology practitioner is to detect imbalances and to correct them. Kinesiology is gentle, non-invasive and holistic therapy. Initial 90 minute consultation £80.00 – includes reading of completed case history questionnaire and a fully typed report e-mailed to you within 48 hours. Shiatsu therapy is a physical treatment that supports and strengthens the body’s natural ability to heal and balance itself. It works on the whole person - not just the physical body, but also the psychological, emotional and spiritual being. The practitioner uses touch, pressure and manipulative techniques. It is a deeply relaxing experience and regular treatments can alleviate stress and illness and maintain health and well-being. Treatment is performed on a futon mat on the floor. The client remains fully clothed. Loose and flexible clothing is recommended. The Hopi Indian Ear Candle Treatment is an ancient but effective treatment to bring relief from the pain or discomfort associated with excessive or compacted ear wax. It can relieve sinus problems, glue ear, tinnitus and pain and pressure from flying. For maximum results, a course of three treatments is recommended. Facial lymphatic drainage is included with this treatment.